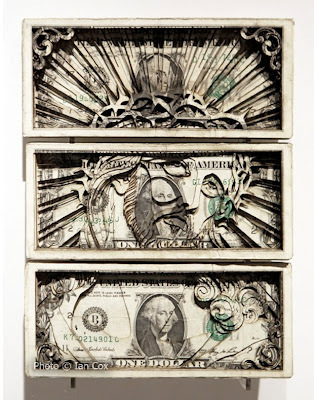 New York tattoo artist Scott Campbell's first major exhibition opened up in London. "Always Almost There" features laser etched dollar bills. Exhibition open until October 30th.